Love your pets & home as if our own. 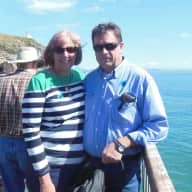 I am an Australian registered nurse who has recently retired and my husband Clive is a retired managing director of a chain of hotels in Australia. We first met through our love of big goofy great danes. We have lived with and loved animals all our lives. All our animals have been either strays that have wandered in and adopted us or rescues. Our children were brought up on large acreage with all the usual farm animals (pets only), as well as the odd ferret among other things!They were taught by example to love & respect all animals. We still own a property where our elderly horse & her mate will reside till they pass on, they grew up with our children and deserve a comfortable and well earned retirement. We live between our children each time we return from our travels they are caring for our two cats and dog which we miss terribly while we are away. Sadly our beloved Great Dane passed away in September of last year leaving us heartbroken. Apart from travelling & immersing ourselves with the locals & their customs & culture we both love taking long walks with the dog when we are home. The beach is also a favourite spot. Also when home we love to watch our daughter & granddaughter compete at the local horse shows. Our son is involved in health & fitness and also competes in natural bodybuilding. After having worked so long caring for humans in the acute sector as a registered nurse I would now like to channel my passion for animals and care for them instead! We have been researching & been intouch with various rescue organisations in SE Asia where there is a huge need for assistance, with a view to volunteering when we finally decide to settle down wherever & whenever that may be. We have both recently retired from high pressure jobs & having travelled extensively throughout SE Asia we would like to take this opportunity through Trusted House Sitters to experience staying in places we would never have thought to stay. With the added bonus of living like a local and keeping company with & caring for a much loved pet. We always use AirBnB when we travel and feel this would be an even better experience. We miss our animals so much when we travel. Personally having lived with animals all our lives, living most of our married life on acreage with animals to care for. We currently own a forty acre property which accomodates our two old horses. We still have two cats and a Rottweiler plus two chooks, all elderly and in great condition! Cared for many animals big & small , have a concern for wildlife conservation. Over many years have house sat numerous times for family & friends. We have looked after cats for our AirBnB hosts in Penang when they had to leave to attend personal business, and assisted another AirBnB host in Langkawi with his sick cat. Ned and Clive do a great job in looking after our animals and our house , we would highly recommend them to anyone looking for a house sitter . 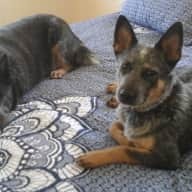 Nerida and Clive were just wonderful property and animal sitters. It was very comforting to know we could go away for an extended period knowing our dogs, cattle, sheep and even our goldfish were all being taken care of so diligently. They also gave our gardens and pot plants regular watering and Clive also mowed the house yard (3 acres approx) which was very much appreciated. There were a number of things that Clive needed to look after around the property, like ensuring our cattle were ok and checking and refilling the water troughs - we even had a calf born during their time at our home with photos sent to us. Our dogs needed daily care and we can't thank Nerida (and Clive) for the love and attention she gave them. We could also tell our 2 sheep had been fed and well care for. Our house was left clean and tidy with bed linen washed and the guest room and ensuite cleaned. Overall everything was in good order and exactly the way we left it. 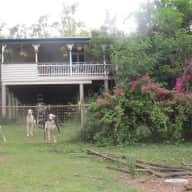 It is not easy when you live on a farm to get away, so we are most grateful to Nerida and Clive for doing our property sit and for caring for our animals and property so well. We highly recommend them and would love to have them back any time they would like. We were managing our friends Airbnb in Penang,, Nerida and Clive were guests for two months. It was our first time caring for our friends cats Kikko and Pretty so we were a little apprehensive when Kikko took ill.
Nerida and Clive was an absolute godsend they helped to administer the medication for seven days and nurse Kikko back to good health. They are passionate about the welfare of animals on their daily walks they incorporated feeding the stray cats and dogs. During their stay we had to attend to personal business they offered to house sit and care for the cats without hesitation we accepted. 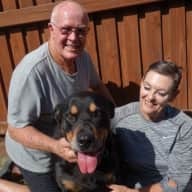 We would highly recommend Nerida and Clive they are a wonderful couple, we can attest to their strength of character and compassion for animals. I am pleased to report that I have known Mr Clive Bryant and his family for more than 50 years. An “A grade” sportsman in his youth, Clive came from a family of successful Australian hoteliers before setting up business as a top grade security monitoring service involving the care of private and business properties of over 2000 clients. Clive’s wife Nerida has been known to me since they met more than 40 years ago. A trained nursing sister, Nerida has been working as senior practice nurse at their local medical centre until her retirement a year ago. 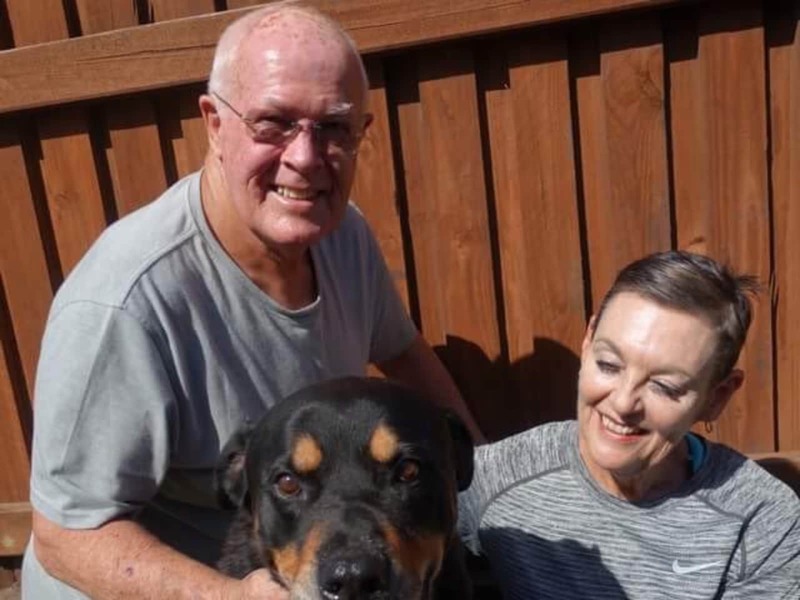 The Bryants have leased out their own 40 acre rural estate and lovely home in the foothills of the Great Dividing Range on a long term basis, so that they may be free to travel Australia and the world, now that they are both in retirement. As long-time animal lovers, their country property has been a home and sanctuary to a substantial variety of their pets including but not limited to ponies, dogs, cats, poultry, donkeys and birds of all kinds (now all in the safe keeping and care of their children and grandchildren). Under such circumstances I firmly believe that Clive and Nerida are admirably suited to the role of house-sitters, and happily recommend them to anyone seeking a reliable and ideally qualified couple to look after and care for their property and pets whilst absent from home. Nerida and Clive have looked after our property and animals many times over the past 15+ years. They are extremely honest and reliable and we trust in them wholeheartedly with our animal family! The property is always kept clean and tidy and when we have gone away have never had to worry about a thing, giving us peace of mind and ability to truly enjoy our holiday. We have had many different animals over the years mostly horses, dogs, cats and chickens, but also birds, fish, goats, pigs and cows. Nerida and Clive have always been more than capable of feeding and cleaning up after them. With the horses they have had to mix feeds and check rugs and are fine with rug adjustment but I have never expected them rug/un-rug or catch and groom etc, just happy to have them fed, watered and checked. Nerida and Clive have even looked after our young children, who absolutely love them! It is obvious they truly love their animals and are very knowledgeable in regards to animal care. I would highly recommend them to anyone who wants to ensure their property and animals are very well looked after! I worked with Neridah for 6 months and in that time found her to be a hard worker, reliable, and someone who will go out of her way to help you out. She is responsible and an animal lover. I would not hesitate to let Neridah and Clive house and pet sit for me.